Some of you may have already seen this review posted on Amazon.com and on Goodreads. I have been waiting to post this on my Blog until today, my birthday! This is one of my FAVORITE BOOKS! So,without further adieu, here it is! Melissa Foster has done it again! This is her best book yet! This love story grabs you from the very beginning and never lets you go, even after reading the last word. This book is a story about love, loss, and then overcoming it all in the toughest of circumstances. This is more than ‘just’ a love story, it is a story of love between two people who are truly, deeply connected by it. This is the BEST love story I have read in years. In order to read this book, this story really tugs at your heartstrings, so you need a full box of Kleenex with the lotion in it (the soft stuff so you don’t rub your eyes and nose raw!) before even attempting to read this book! I cried so many times and at times straight through, the words were blurry and I had a hard time seeing to read! I never saw what happened coming in this story at all. No one will. Love has no boundaries. Literally. Tess and Beau are a thirty-something married couple who are very much in love. Beau is a professional photographer who is offered a follow-up job to go back to Iraq to take photos of the Iraqi families as they are dealing with the effects of the war. This is supposed to be a short, simple assignment with no danger involved. Tess disagrees stating it is still a country at war and there is nothing safe about it. Beau tells Tess this photo shoot will make his photography career, which he has dreamt for himself. He hopes she can understand where he is coming from. He wants her support. So Tess supports him as long as he comes back to her. Tess learns news about herself that just shocks her. She finds out she is pregnant. This was not planned. Tess decides she’ll tell Beau about their pregnancy on their next Skype conversation so she can see his reaction. Trouble happens. Tess learns about the danger Beau became involved in. His helicopter he was on has crashed. There are no survivors. She does not believe it. He’ll come back to her. She just knows he will. Come back to me, she says. Come back to me. As for the rest of this story, you NEED to read this book! The reason why I love to read is because of this type of talented excellence in writing that shines through such as in this book, which the author, Melissa Foster, possesses. To be honest, I was so into this book, I was talking to and yelling at these characters! I was a mad at Beau for wanting to go to such a dangerous place just for his career, making Tess stress so much about his safety. Couldn’t he have found another story to make his career? Off he goes to his photo shoot in Iraq despite my reserve about it. I also found myself getting mad at Tess, later, for other things, as well! Then, I was mad at the author for making the story go the way it did, but it had to go that way. Sorry, Melissa! I thought for sure it would change, but it didn’t. It couldn’t. Oh! What a great story, Melissa! Even though I didn’t want to see it go the way it did, it had to play out the way you wrote it. The story would not be this masterpiece it is had it not been for the way it was written. This is the BEST love story I have read in years! It pulls and tugs at your heart like no other book I have read. As I said in the beginning of this review, this story grabs you from the very beginning and never lets you go, even after reading the last word. I don’t think I have cried as much reading a book as I did reading this love story. NO book has made me feel this way in a very long time, not even a book by any author on the New York Times Best Seller List. I would put this book up against any book on that list, and this book would exceed it by far. This book will be the next greatest book on that list! I did have to take several days before I could write this review because I was so involved in the characters and their story I needed time to be able to write a good, honest, non-biased review. After you read this book, you’ll understand what I mean. It affected me very much, and as I think back to it, I am still affected just as much as when I was reading it. As you can tell by how involved I got into this book, Melissa Fosters’ style of writing brings you right into her characters lives immediately. As soon as you start reading her books, you are a part of these characters lives. As in this book, Come Back to Me, we are instantly a part of Tess’ life. We can feel what she feels, worry as she worries. We feel how she feels about her pregnancy. We relate to her career as she relates to it. We can feel all her emotions as if it were ourselves living her and Beau’s life. We can also feel how Beau feels, the little bit that we are introduced to him, in the very beginning. It takes an extremely talented author to be able to pull the reader into a characters life like this story does and makes you feel as if it were part of your own life. Melissa Foster is an author who excels at this. Melissa Foster is the author of two other books, Award Winning Megan’s Way, which also won the Reader’s Favorite Award among many others, and it is currently being adapted into a film. She has also written Chasing Amanda. All three of her books are available for purchase at Amazon as ebooks, or as paperbacks. This book, Come Back to Me, is a book I want to get as a paperback and keep in my library to go back and read again. I’d LOVE to have it signed, hint, hint! I received this book for “FREE” from the author, Melissa Foster, through her Book Reviewer’s Program in exchange to read and write a review about this book. It is NOT required for my review I write to be either positive or negative, but, “of my own opinion.” I was NOT provided with “ANY” monies to accept this book, “NOR” to read it, NOR were “ANY” monies given to me to write the review for this book. All that was ‘expected’ of me was to enjoy the pure pleasure of reading it. Again, the opinions expressed for and about this book are ‘of my own opinion’. I am disclosing this information in accordance with the Federal Trade Commission’s 16 CFR, Part 255, http://www.access.gpo.gov/nara/cfr/waisidx_03/16cfr255_03.html Guides Concerning the Use of Endorsements and Testimonials in Advertising. *I want to add I still think about this book! This love story has made such a lasting impression on me! Or, I'll be going around to different Blogs and will see it highlighted for the day, and the whole book comes flooding back! Such a WONDERFUL story! It is not often you come across a truly wonderful love story such as this. This kind of writing is few and far between. Honestly, you CAN'T AFFORD TO MISS THIS BOOK! It is worth EVERY MINUTE, EVERY SECOND you spend reading it! Get YOUR copy today and be swept away! Here's the Book Trailer! Enjoy it! 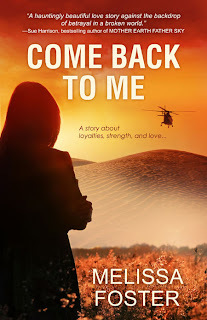 Book Trailer for "Come Back to Me" by Melissa Foster! Enjoy! Melissa Foster is the bestselling, award-winning author of three novels, Megan's Way, Chasing Amanda, and Come Back to Me. She has also been published in Indie Chicks, and anthology. 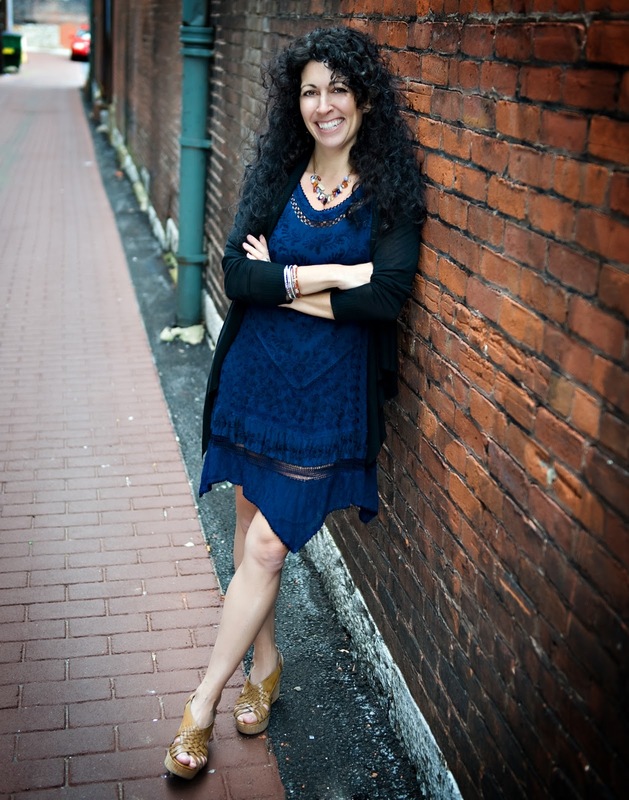 She is the founder of the Women's Nest, a social and support community for women, and the WoMen's Literary Cafe. Melissa is currently collaborating in the film production of Megan's Way. Melissa hosts an annual Aspiring Authors contest for children, she's written for Calgary's Child Magazine and Women Business Owners Magazine, and has painted and donated several murals to The Hospital for Sick Children in Washington, DC. Melissa is currently working on her next novel, and lives in Maryland with her family. Melissa's interests include her family, reading, writing, painting, friends, helping women see the positive side of life, and visiting Cape Cod. FREE EBOOK FRIDAYS EVERY FRIDAY IN 2012! YOUR FREE EBOOK BECAUSE TODAY IS FRIDAY! Go there TODAY and check it out! You DON'T want to miss this! Also, there are ALWAYS GREAT "NEW" BOOKS being featured ALL the time you don't want to miss! You are able to click on the book and it takes you DIRECTLY TO Amazon to be able to purchase it! It couldn't be ANY EASIER TO GET YOUR BOOKS! It is a GREAT website to frequent often! If you notice the spelling of the website, it is because it features women AND men! Bookmark the site so you can go back! I swear it changes EVERY day! Melissa can be followed on Twitter as @Mellisa_Foster - Melissa is VERY active on Twitter! She has some GREAT quotes, too! On Facebook https://www.facebook.com/MelissaFosterBooks - COOL page! If you would like to purchase ANY or ALL of Melissa's books, please click on the photos of the books below! ALL proceeds from the purchase of these books from my blog go to helping me do MORE giveaways during Blog Hops and other events I hold here! Thank you for visiting today and reading my review and everything else! I already have this book on my wish list, but your review just makes me want to read the book all the more. "Come Back to Me" was a fantastic story of love and loss, dealing with grief, and accepting the challenges life throws at you. It takes you down the path of two people very much in love dealing with opposite ends of a life-altering situation: one struggling to survive and return home, and one struggling to accept and move on after believing a great loss has occurred. There were many surprises, plenty of life lessons, and some very unexpected events. Grab your tissues, and enjoy this fabulous read.